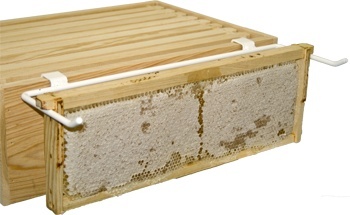 Ever set your frame on the ground and killed off your bees or dirtied your foundation? Then this Frame Perch is for you. Hook this Frame Perch over the long side of your hive body or super so that you may hang frames on it while you inspect your hive. Constructed of white powder coated steel and will hold 4 frames.